This week I put my traditional trainers back on. That’s not to say I’m giving up on my Vibrams altogether, but while I’m trying to resolve the issues with my foot I’m regarding it as a necessary compromise, at least for now. It was a strange, but not altogether unpleasant, sensation wearing trad trainers again. It was like walking on heavy, squishy platforms. I still can’t run properly so I was just cross-training in them, but even that felt a little alien and I have to admit feeling slightly traitorous to my barefoot beliefs. What I have to remember is that my New Balance trainers carried me through three half marathons, countless gym sessions and many miles of training runs before I switched to Vibrams. 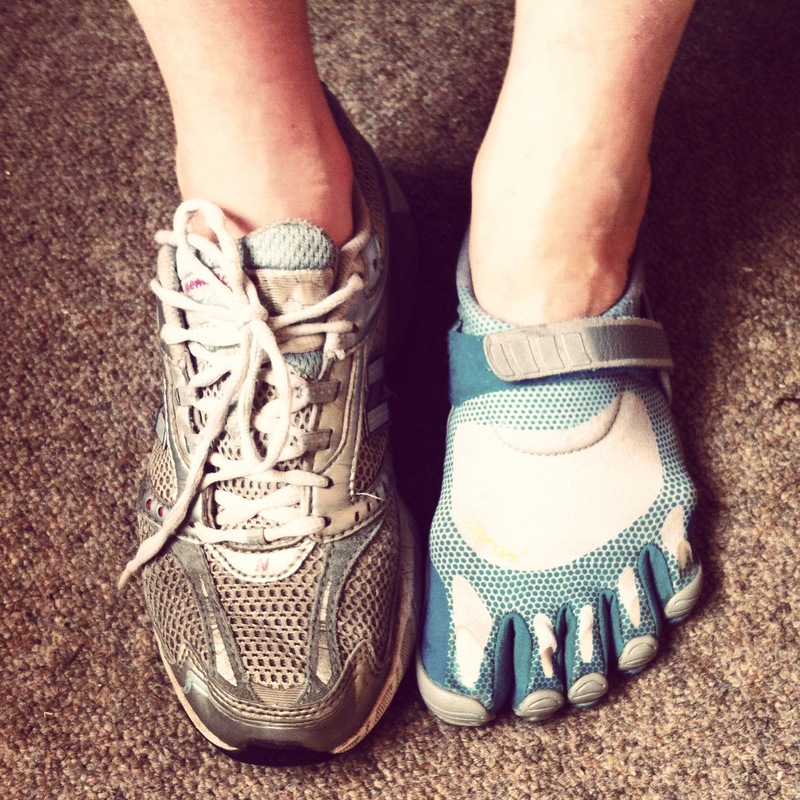 I used to love them as I love my Vibrams now, and I’m sure I will rebuild that affinity. This concession, and my injury more generally, has resulted in the rekindling of the barefoot debate in my own mind as well as amongst my peers. I’ve found myself re-reading the articles that inspired me to try minimalist running shoes in the first place, as well as those which critique the barefoot trend. One thing I will reiterate is that this isn’t my first injury; I’ve been injured in trad trainers too. And while this is the worst injury I’ve had, it also came at a time when I was running more than ever before and could be as much to do with the daily 10k plus runs that I was putting in prior to the injury, as with the shoes. What I also find interesting is that trainer-runners will tell me that I need to get back into support shoes and my injury is proof of that, but then, in the same breath, will recount their own injury list, all incurred while wearing trad trainers. I also have friends who have found that switching to minimalist shoes actually reduced their injury rate and resolved hip and knee issues suffered in more supportive shoes. 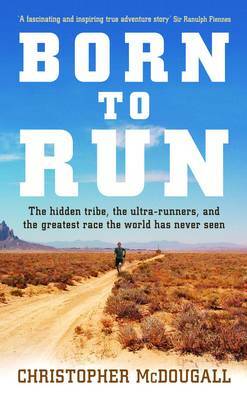 The most recent upsurge in barefoot running has been attributed to Christopher McDougall’s 2009 best-selling book ‘Born to Run: A Hidden Tribe, Superathletes, and the Greatest Race the World Has Never Seen‘ and I sit myself within this trend, with books such as ‘Running with the Kenyans‘ reaffirming my position. The book posits that support trainers have altered our natural running style resulting in many running-related injuries. Conversely, the thin sandals, or ‘huaraches’, worn by Tarahumara runners in Mexico offer a more natural way of running, correcting form and fostering a forefoot strike, which can result in fewer injuries such as IT Band Syndrome, Runner’s Knee and shin splints. 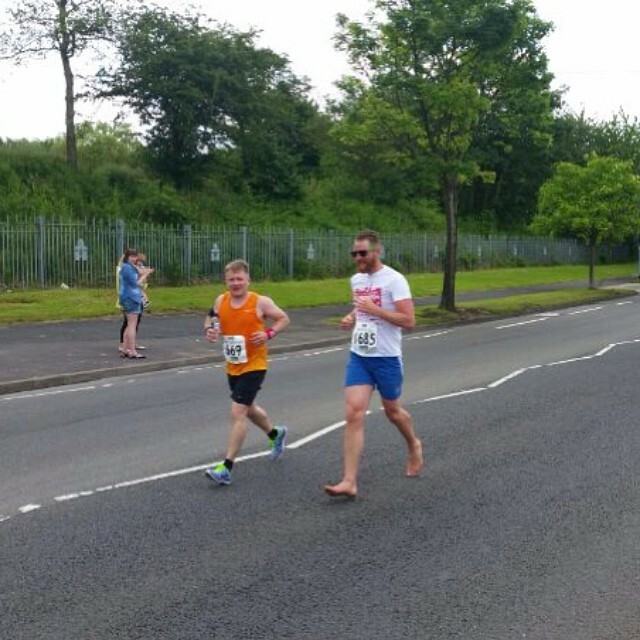 However, the jury is still out on the benefits of barefoot running and it remains a controversial topic. Those who go barefoot too quickly report injuries including achilles tendonitis and stress fractures. My natural running style is well-suited to barefoot running as I run on my toes, so when I made the switch little was required in the way of adjustment. While my running friends are amused that I am more bounding gazelle than sleek cheetah, this style has always got me from a to b with or without shoes. While I find the debate interesting, I take my barefoot brother-in-law’s approach of not being dogmatic either way. Running is about finding what works for you dressed however you feel most comfortable. For now that may be with a little extra foot support, but that’s not to say this will be the case next week, next month or next year. As Runner’s World Editor-in-Chief, David Willey, wrote, ‘There’s no single answer or prescription that’s right for every runner when it comes to footwear and running form,’ minimalist shoes may not be the panacea for all running injuries, but support trainers aren’t either. Shoes or not, what I am resolving, however is that when I’m back to running properly I need to get off the pavements as much as possible. And my next big thing on the cards post injury? Trail running!